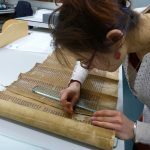 During my work at the Chester Beatty Library as the 2015-2016 Heritage Council Intern, I had the opportunity to work on parchment and gevil sacred scrolls. 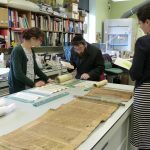 In 2015, the Chester Beatty Library undertook a year-long project to conserve the Hebrew collection. 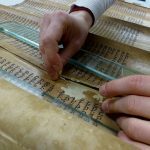 I joined the team towards the end of the project, and had the chance to conserve two Hebrew scrolls, CBL Heb 774 and Heb 776. 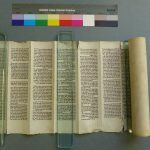 CBL Heb 774 is a 17th century Sefer Torah produced in Italy. The scroll is made up of 9 skins. 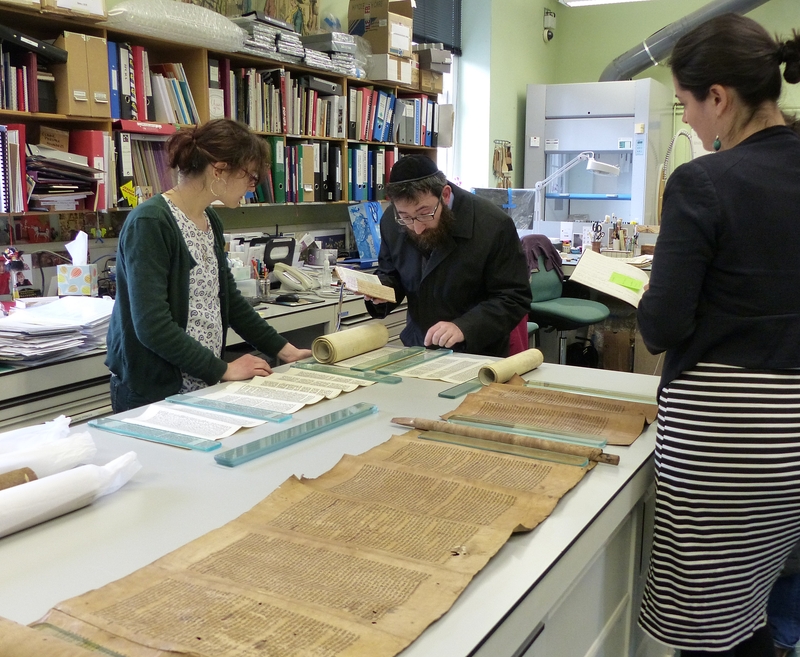 CBL Heb 776 is a 19th century Sefer Torah produced in Italy, made up of 28 parchment skins. My work involved the full assessment of each object, leading to a treatment proposal. 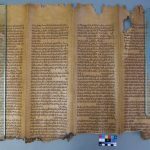 This project allowed me to gain a better understanding of parchment, its characteristic behaviour, and the type of damage typical to rolled objects. 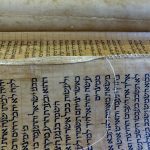 It also gave me the opportunity to study gevil, which is typically used for the writing of the sacred text of the Torah in the Hebrew tradition. 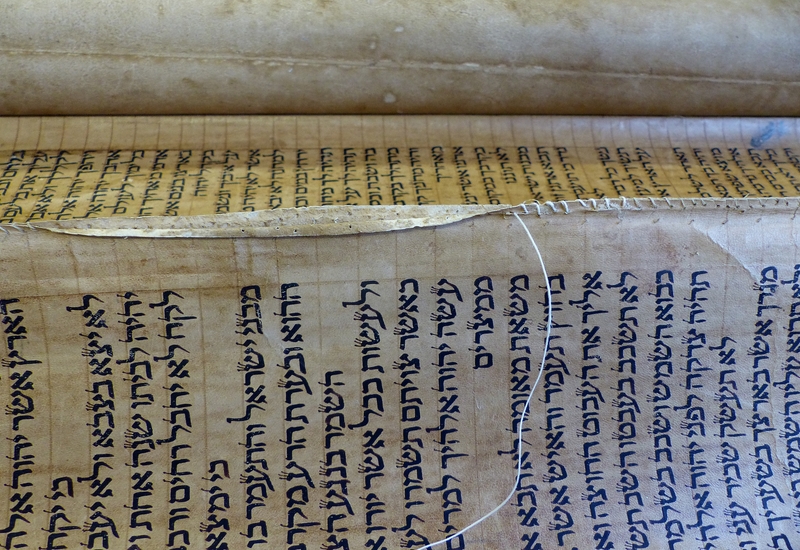 Gevil is a hybrid material, an animal skin which was first prepared like parchment, but then also tanned like leather. 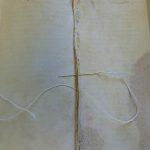 This creates a material with characteristics of both parchment and leather. 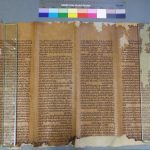 The conservation treatment of these objects included the consolidation and re-sewing of the detached skins of the parchment and gevil Torah scrolls, using isinglass or wheat starch paste, Japanese papers toned with Yasha dyes and 25/3 linen thread. 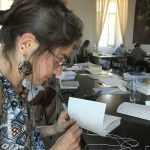 This also provided me with the possibility to study sewing techniques on scrolls and old repair techniques from the evidence preserved on these objects. 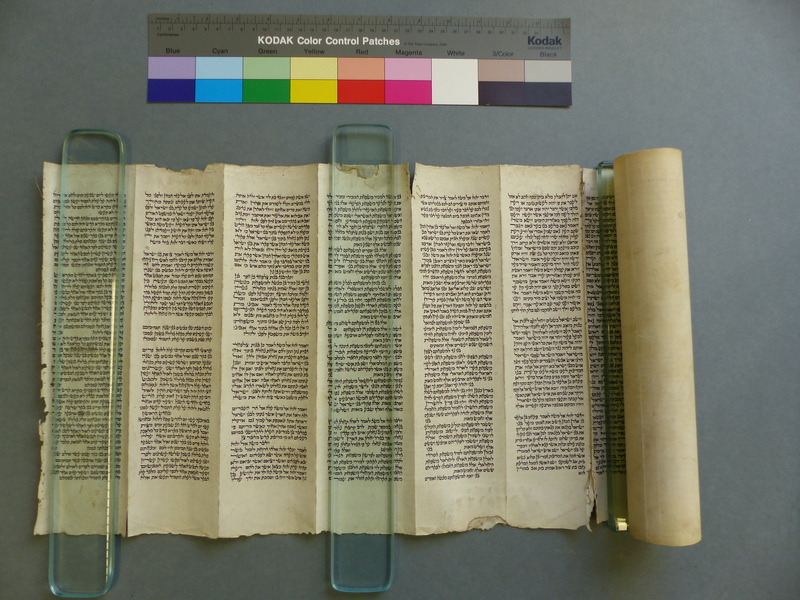 Gevil scroll CBL Heb 774 – Before treatment. © The Trustees of the Chester Beatty Library, Dublin. 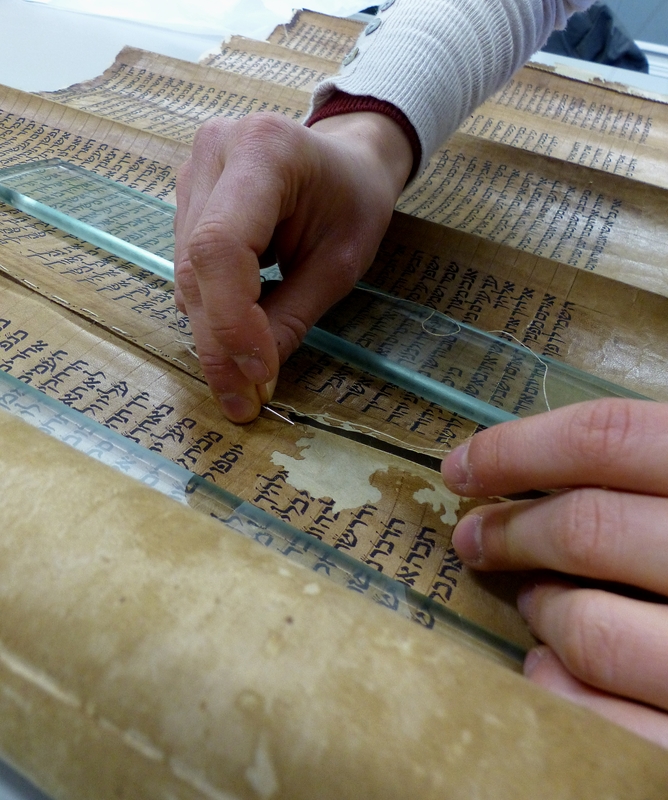 Repairs of gevil scroll CBL Heb 774. Use of Yasha toned Japanese papers of various weights and wheat starch paste. © The Trustees of the Chester Beatty Library, Dublin. Discussion with Rabbi Zalman Lent. 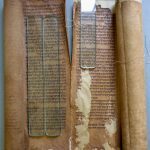 Both scrolls had detached sections. 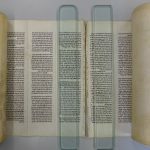 Rabbi Zalman Lent visit allowed to ensure the text was in the correct order, and confirmed they could be reattached or if part of the text was missing. © The Trustees of the Chester Beatty Library, Dublin. 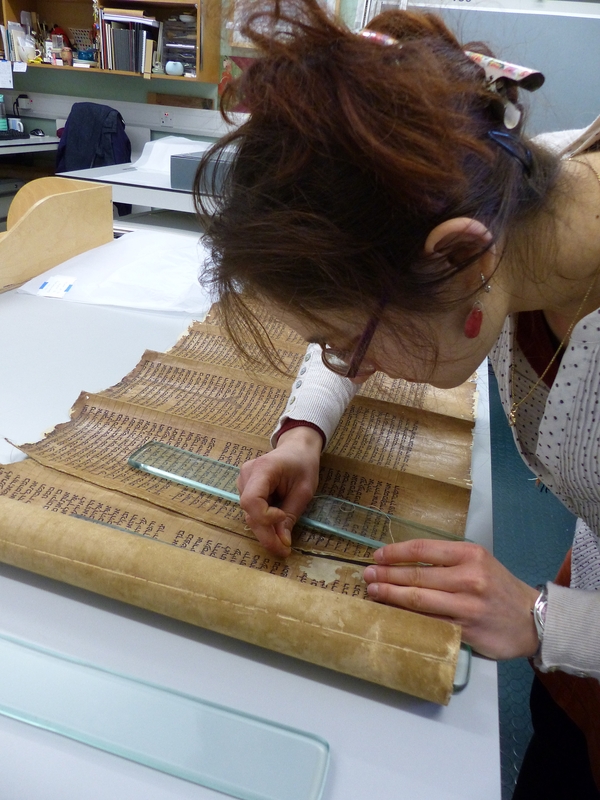 Resewing of gevil scroll CBL Heb 774. © The Trustees of the Chester Beatty Library, Dublin. 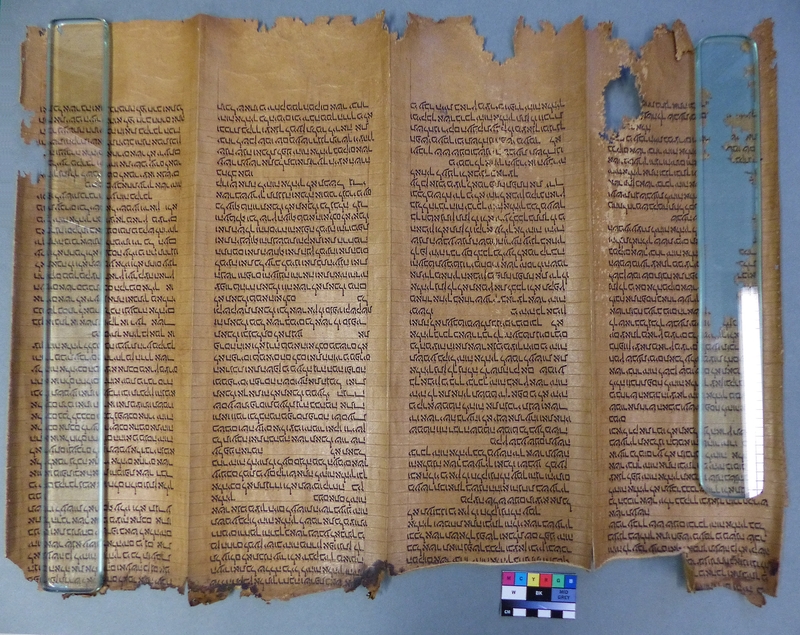 Gevil scroll CBL Heb 774. Resewing using 25/3 linen thread, reusing existing sewing holes. © The Trustees of the Chester Beatty Library, Dublin. 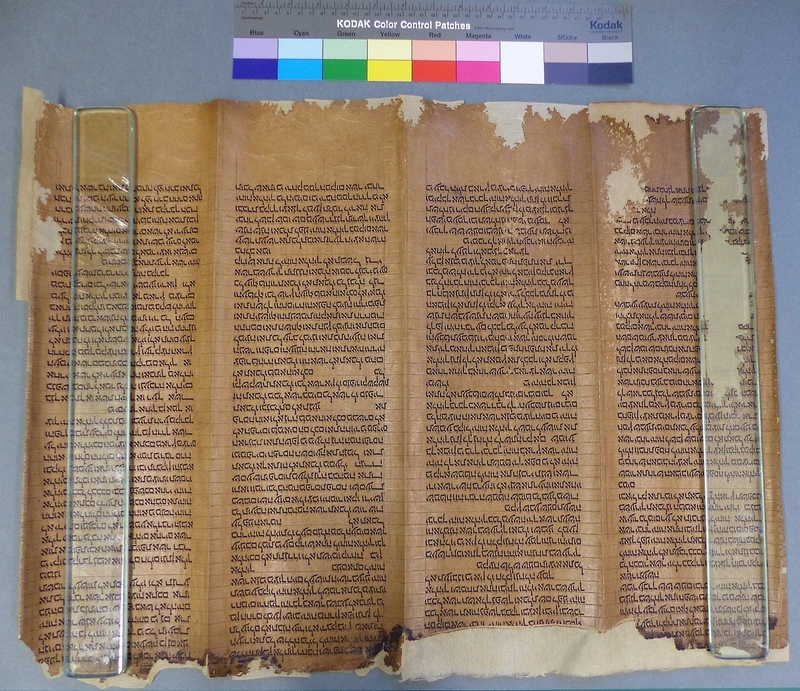 Parchment scroll CBL Heb 776 – Before treatment. © The Trustees of the Chester Beatty Library, Dublin. 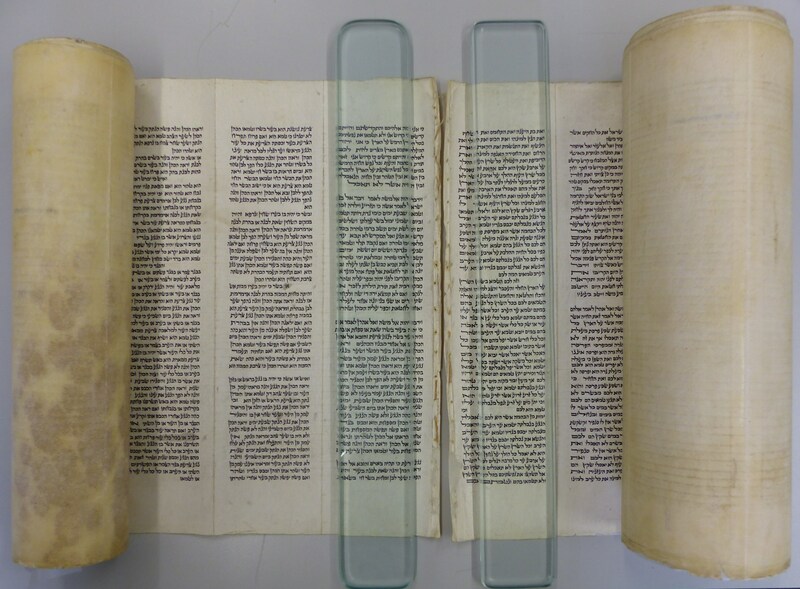 Parchment scroll CBL Heb 776. Before resewing. © The Trustees of the Chester Beatty Library, Dublin. 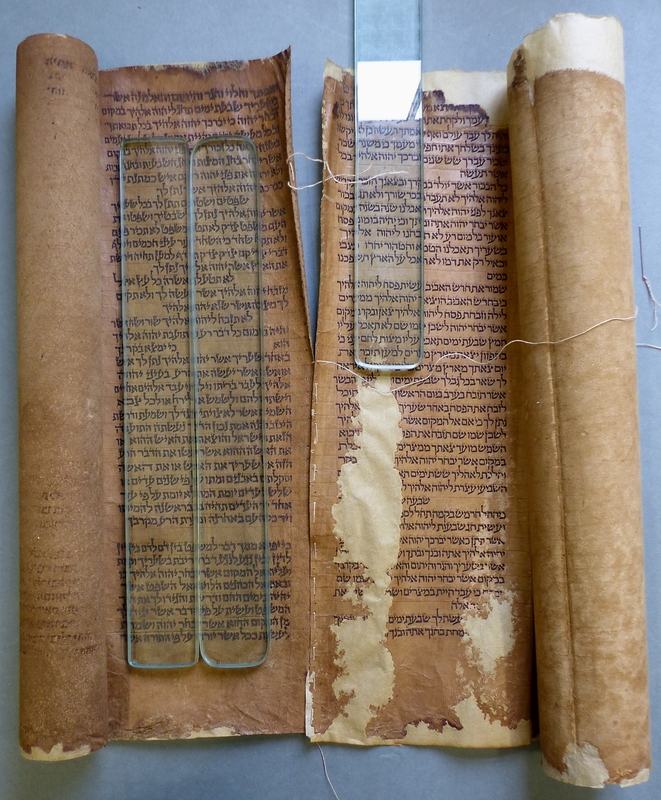 Parchment scroll CBL Heb 776. 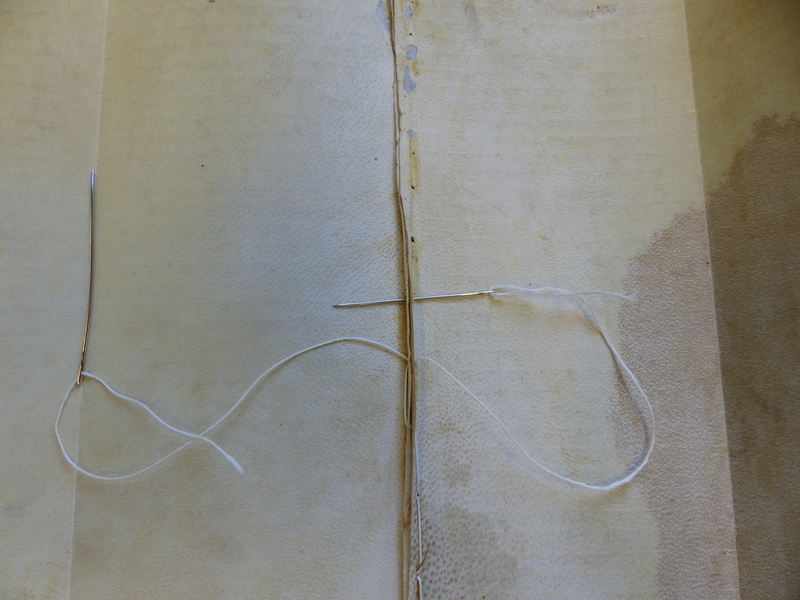 Resewing using 25/3 linen thread, reusing existing sewing holes. © The Trustees of the Chester Beatty Library, Dublin.